The original Ford Sierra RS Cosworth was the first Ford to wear the Cosworth badge and was introduced at the 1985 Geneva Motor Show as a means of homologating the Sierra for 'Group A' Touring Car racing. These regulations dictated that a minimum of 5,000 were built and sold and eventually, Ford complied with 5,545 finding homes. Based on the three-door Sierra body shell, it was designed by Ford's Special Vehicle Engineering (SVE) and was powered by a Cosworth-designed 2.0-litre turbo engine of now legendary repute. 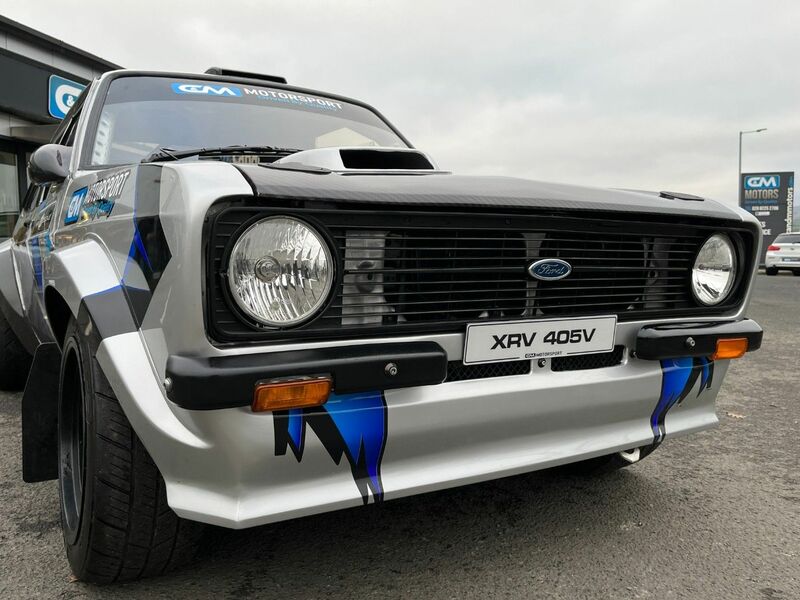 The RS Cosworth used a 204bhp 2.0 litre DOHC engine with a Garret T3 turbocharger and intercooler enabling it to reach 62mph in 6.8 seconds and a top speed of 150mph. In 1986, the Sierra Cosworth was a new kind of performance car - a blue-collar hero able to humble true sports cars. In January 1990, the third generation Sierra RS Cosworth was launched, this time with four-wheel drive. As early as 1987, Mike Moreton and Ford Motorsport had been talking about a four-wheel drive Sierra RS Cosworth that could make Ford competitive in the World Rally Championship. Ford Motorsport's desire for a 3-door "Motorsport Special" equivalent to the original Sierra RS Cosworth was not embraced. The more discreet 4-door version was considered to have a better marketing potential and it was therefore decided that the new car should be a natural development of the second generation, to be launched in conjunction with the facelift scheduled for the entire Sierra line in 1990. H28 AMK was registered on the 1st of August to a lady in Essex who still owns the car to this day. The Cosworth was ordered in April 1990, with an expected on-the-road date of the 1st of August, and was supplied by Gates of Harlow, the local Ford dealer. The car was ordered in Magenta with a Grey Cloth Recaro interior and is believed to be one of the first six 4 x 4 models made available through the Ford network. Today, this extraordinary RS has travelled a mere 13,310 miles in the hands of its owner who is now 80 and has decided to hang up her driving gloves. She has, however, been fastidious in keeping the car's history safe and has all the old tax discs through to the last one in 2015 when they ceased being issued along with every MoT barring 2017 when it was garaged. 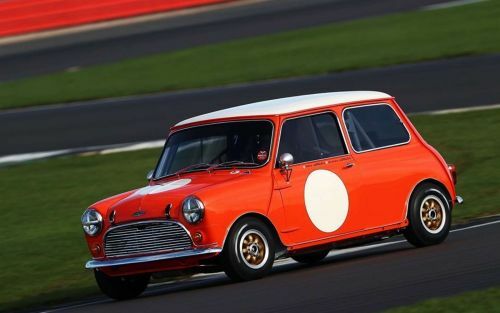 The car has all of its original dealer book pack along with the original order and the invoice indicating a whopping £23,000 which, for 1990, was a considerable sum. Also supplied with the car are two unused lumber support pads (still bagged) which were an accessory for the Recaro seats. There is a certificate detailing a Category 2 Alarm and immobilizer fitted in 2001, again all receipted, to protect their investment. The car had its first service at Gates in November 1990 at 2,241 miles and from there on our vendor's husband, a competent engineer, maintained the vehicle with regards to engine, gearbox and differential oil changes together with other fluids when needed. Gates of Harlow, however, did the first cambelt change on the 22nd of July, 2003 at 12,501 miles, with Rally Tec Cosworth Specialists undertaking the last change at 13,304 miles on the 9th of August 2018. At that point, the car was treated to a thorough recommissioning in readiness for the imminent sale with £5,000 spent to make sure that it was 'on the button'. This Sapphire is a rare car and essentially unmolested. It still sports its original exhaust which is unusual as the OEM ones are just not available and most have been replaced by " bean cans". New tyres have been fitted and they are the proper factory specification items adding to the car's sense of originality. AMK is a car for the serious collector and rarely do cars with this provenance come to market, making it very special indeed. The viewing and auction takes place at Dallas Burston Polo Club, Stoneythorpe Estate, Southam CV47 2DL (map). The auction takes place on Saturday 29th September 2018. The Classic Car Sale starts at 2pm.